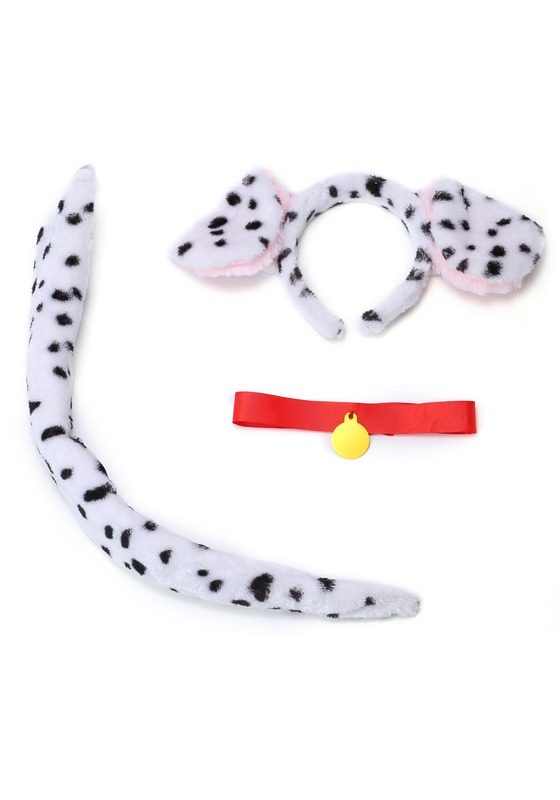 This Deluxe Dalmatian Kit is all you'll need to begin your Dalmatian transformation! 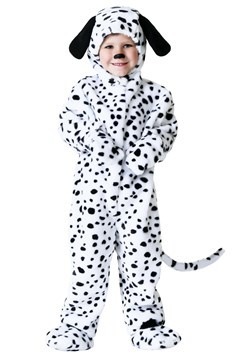 You'll be riding in firetrucks and peeing on fire hydrants in no time. But are you sure you have what it takes? When the sirens start going off at 3 AM, are you going to be able to crawl out of your doggie bed and up into the fire truck? 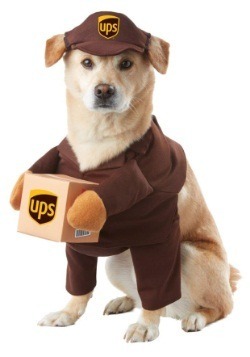 Are you going to be able to fulfill your doggy duties, even after a full day of work with only one cup of dog food? No one said it'd be easy, but if you think you can do it then this kit is for you. 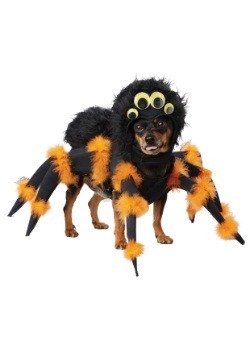 This kit comes with three separate pieces, each of which is essential to your doggy persona. 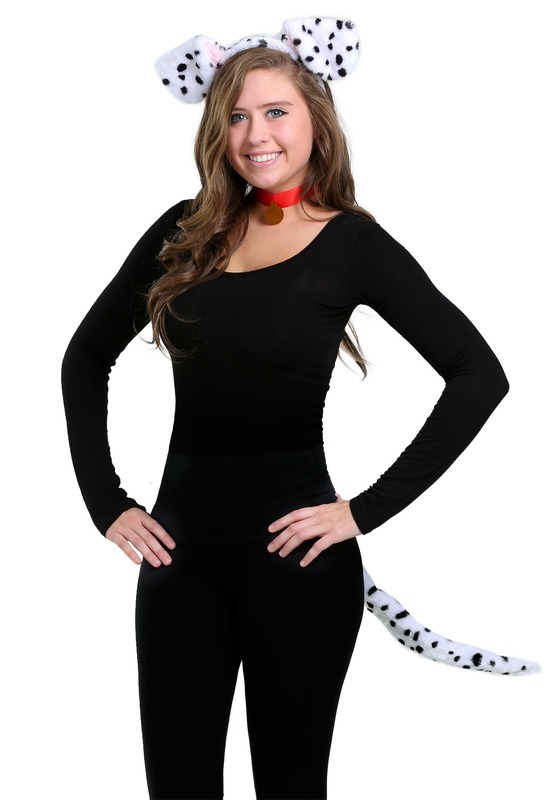 first, we have included a dalmatian tail! Not a real dalmatian's tail obviously. We've also included doggy ears (also not real, if it needs saying). The finishing touch is the doggie collar you'll be wearing! 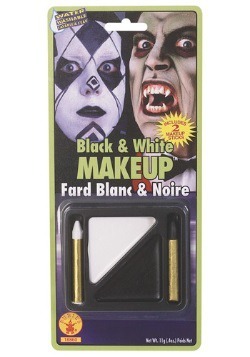 Pair this with some black and white clothing and you have yourself a costume! These costumes go best when paired with others! 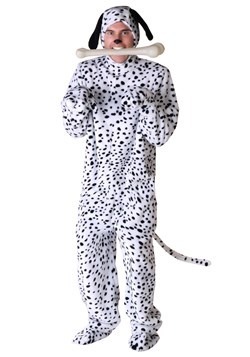 Why not grab yourself a friend and dress them up as your firemen? Now you two can roam about like a couple of heroes!